A stellar budget laptop that's surprisingly nice to use - but is it for you? 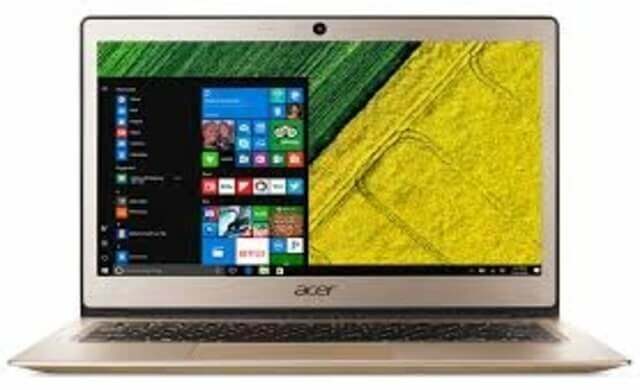 The Acer Swift 1 (SF113-31-P20U) is a reliable everyday 13.3” Notebook that’s ultra-affordable and user-friendly. For a budget laptop, this one’s actually quite nice to use and has an unbelievable battery life. That’s why it made our top two budget laptops for under £500. It’s not got the fastest processor out there and the screen could have a bit more dazzle, but this machine was designed for everyday small business use and it’s ideal for tackling all your office tasks. We won’t deny that the Acer Swift 1 doesn’t exactly feel premium, but it doesn’t look too bad either thanks to its metal casing. If you plan on video editing, you’ll need more than 4GB of RAM and an Intel Premium processor and, but for most everyday business tasks like web browsing, transferring files and even booting up, this laptop’s nice and speedy. You may be surprised by how nice the Acer Swift 1 is to use for such a budget laptop and the keyboard works well. At 1.6kg, this device isn’t super-portable, but it’s still small and light enough to carry around if you ever happen to work on the go. The battery on the Acer Swift 1 blew us away – you’ll get around 11 hours’ continuous use, which will even give many far pricier laptops a run for their money. Even the non-stop WiFi use (about three hours’ less) is leaps ahead of competitors. The screen on the Acer Swift 1 is better than average for low-range laptops. It has a special covering for reducing reflections, even if the actual screen resolution could be sharper. It’s designed for daily business jobs (Word, Excel, emails etc.) rather than gaming. The sound is not the best quality, but it’s no less than what you’d expect for a cheap laptop. It’s perfectly fine for business use, but you’ll probably want to stick to your hi-fi system if you’re into your deep bass office music. Of course, you can pay more for a sturdier build and HD+ screen, but you’ll be hard pressed to find a better value laptop for under £500. If you’re after a laptop with a decent screen size, great battery, intuitive design and absolutely killer price, the Acer Swift 1 is well worth checking out. The Acer Swift 1 can be tricky to find, since it’s being replaced by pricier new models.